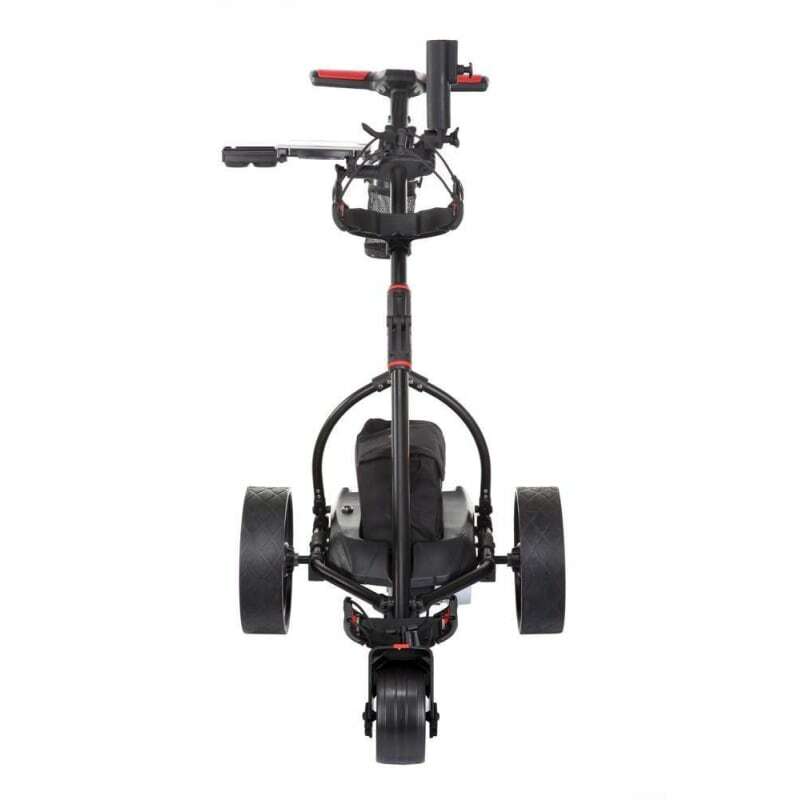 The innovative technology and design of the Caddymatic V1 Electric Golf Trolley makes this powerful trolley quiet, durable and reliable. 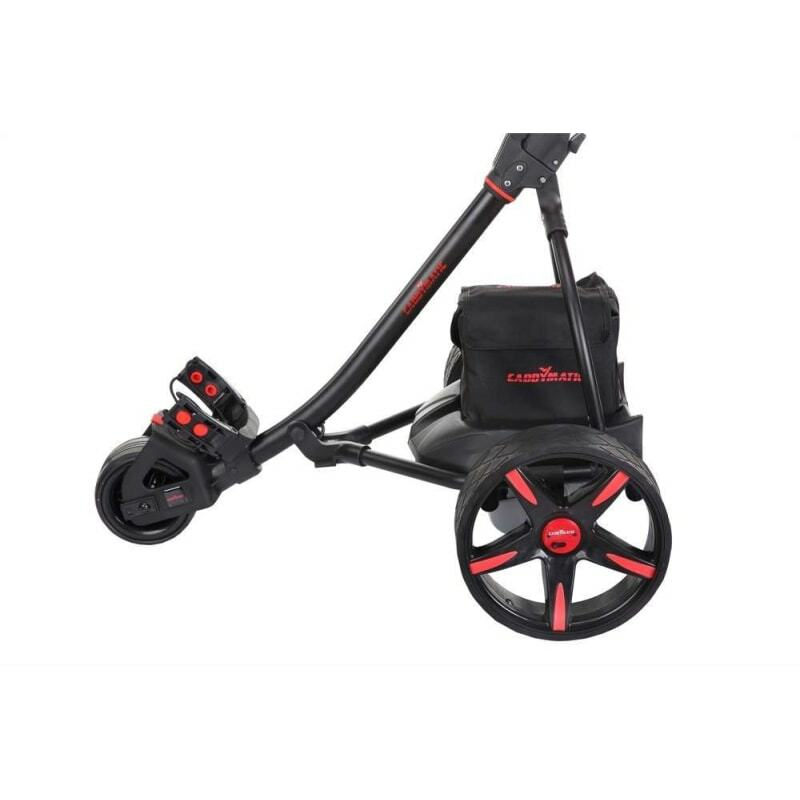 The punchy motor and upgraded battery allows this trolley to move up and down the hills of any course. 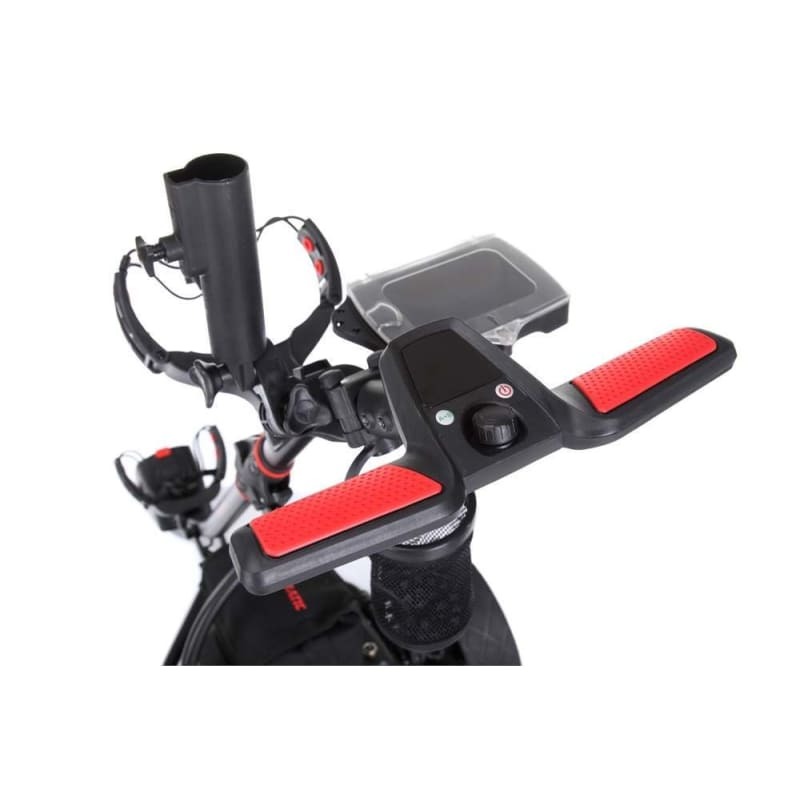 Made from strong and durable aluminium alloy to help keep the weight down and make for easier transportation. 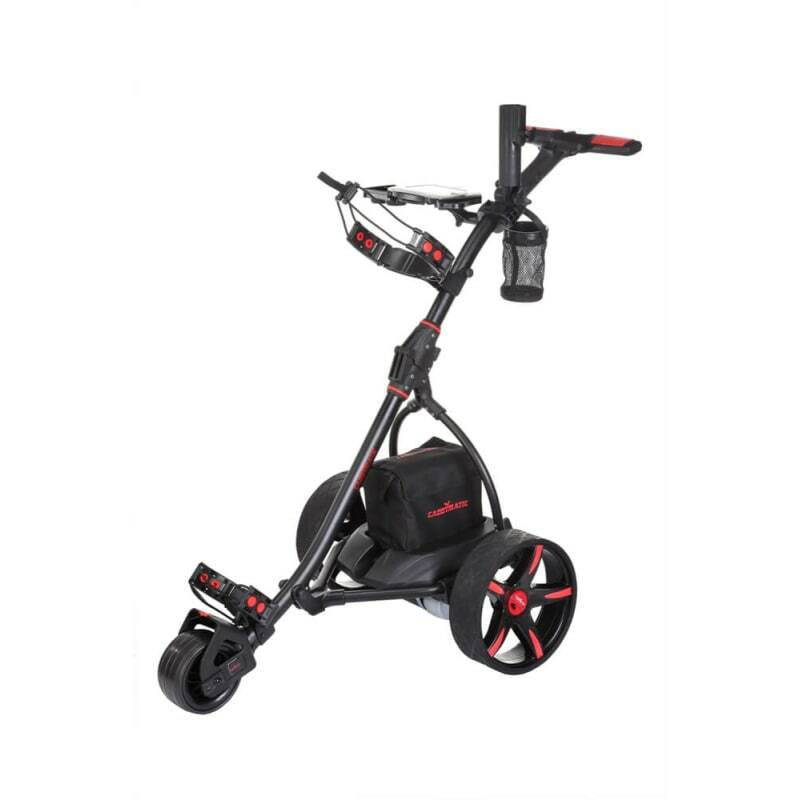 Powerful, punchy hole battery - will power round any 18 hole course with ease! The Caddymatic Cart Bag is a lightweight, sporty-looking cart bag that is designed to store everything you need to enjoy a day on the course. 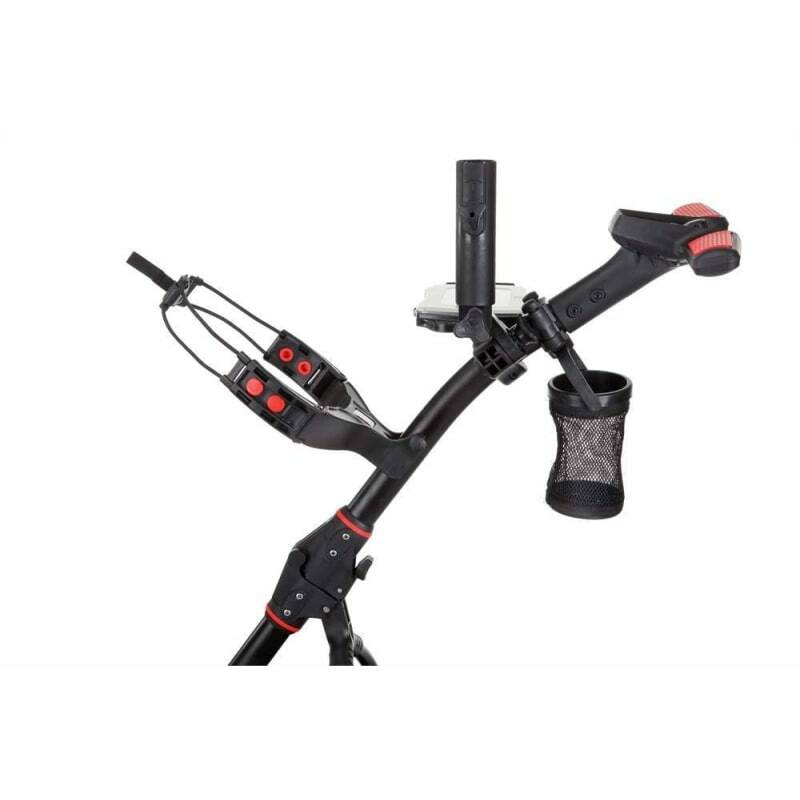 As well as being stylish and easy to move, the Caddymatic Cart Bag boasts a 14-way organiser top with individual full-length dividers and an integrated putter well to keep all your clubs organized and protected. With an umbrella sleeve, wet/dry pocket for your rainwear and a built-in rain hood, this bag is ideal for all-weather golfing -- such an important factor to take into account with the infamous British weather! Featuring loads of pockets for everything from golf balls to valuables, this great bag is capable of carrying all you'd want on the golf course plus more, check it out today! 14-way Divider to organise your golf clubs. Oversized soft grip putter well integrated into organizer top. Bag bottom with feet for stability. Tee holder located on front of bag. Matching rainhood and umbrella sleeve.